If you're like most of us, you know you need to create a home inventory, but you haven't taken the first step. The National Association of Insurance Commissioners has just made it easier. They've developed a cool app for your iPhone - and it's free. 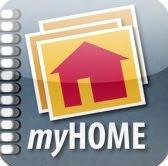 The myHOME app helps you capture photos, bar codes and serial numbers of your items. It also organizes the information for you, room by room, and creates a back-up file for e-mailing. How do you get tsunami insurance? Earthquake coverage generally doesn't include damage and flooding from a tsunami. But flood policies under the National Flood Insurance Program, a federally run program that insures millions of homes and businesses, do cover tsunami damage. The surge of water is treated the same way as a storm surge from a hurricane would be. (1) The term “flood” shall have such meaning as may be prescribed in regulations of the Director and may include inundation from rising waters or from the overflow of streams, river, or other bodies of water, or from tidal surges, abnormally high tidal water, tidal waves, tsunamis, hurricanes, or other severe storms or deluge. The federal flood program has issued more than 5 million policies across the country, insuring more than $1.2 trillion in property. Here in Washington state -- a quake-prone region with hundreds of miles of coastline -- some 51,000 policies are in force. Coverage is particularly heavy in places like Centralia, Aberdeen, King County and Snohomish County. Here's a plain-language summary of federal flood coverage. And we should also point out that the federal program does not cover things like business-interruption coverage, which can be crucial for businesses. Also, NFIP commercial coverage maxes out at $500,000 for a building and $500,000 for contents. The good news: insurance brokers can find additional flood coverage for you, often through what are called surplus line insurers. Investigators from the Washington state insurance commissioner’s office on Tuesday arrested a King County woman on suspicion of stealing more than $1 million in retirement funds from five elderly insurance clients. Jasmine Jamrus-Kassim, of Kent, was arrested in Factoria by members of the insurance commissioner’s Special Investigations Unit and the Washington State Patrol. She was booked into the King County Jail on 21 counts of first-degree theft. A months-long investigation by Kreidler’s office found that several of Jamrus-Kassim’s clients repeatedly cashed out large portions of their annuities with Bankers Life and Casualty. Jamrus-Kassim was an agent for the insurer. The victims, who ranged from age 74 to 90, typically made out their checks to “S.A. Saad” and gave them to Jamrus-Kassim. Several said they believed that S.A. Saad was an insurance company official. They thought their money was being reinvested. In reality, Jamrus-Kassim has two daughters, both with the initials and surname “S.A. Saad.” Most of the money was deposited briefly in the girls’ accounts, then moved to Jamrus-Kassim’s personal credit union account. Jamrus-Kassim’s financial records show thousands of dollars spent on clothes, jewelry, and a trip to Mexico. They also show large payments to online psychic advisors, including $20,000 in charges from one psychic website in one month. In total, Jamrus-Kassim is believed to have stolen at least $1,052,088 from the five victims between late 2007 and late 2009. She returned $25,503 to a 90-year-old Renton woman after the woman complained to the insurance commissioner’s office. That’s one of two complaints that triggered the state investigation. Jamrus-Kassim submitted a letter of resignation to Bankers Life on Jan. 13, 2010. Subsequent investigation by state insurance officials found three other victims. Last week, investigators interviewed an 83-year-old Seattle man who had no idea that Jamrus-Kassim had taken his $352,000. 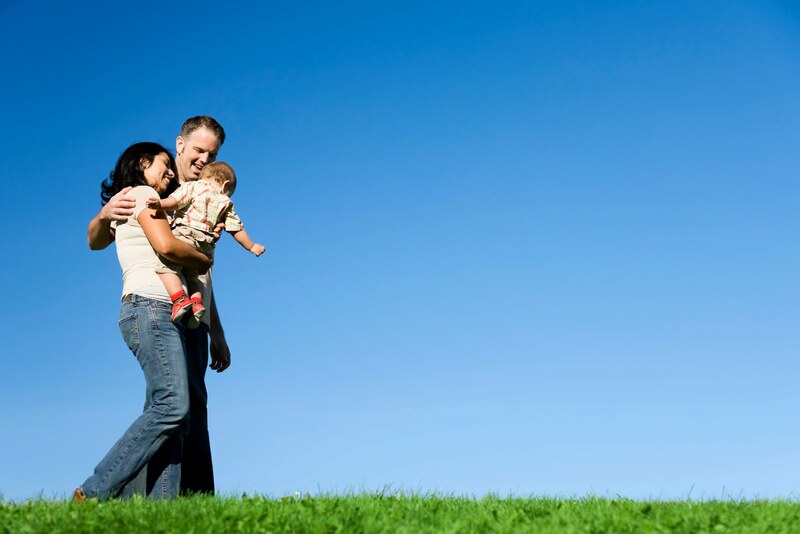 If you're looking to add your children to your own individual health plan or want to buy health insurance for your children, you have from today through April 30 to do so. Be sure to apply early. In most cases, applications received after March 20 will not have coverage until May 1. This is the first of two open-enrollment periods this year for children in the individual health insurance market -- the second is from Sept. 15-Oct. 31. During these times, health plans cannot screen children or deny them coverage because of a pre-existing medical condition. Federal health care reform prevents health insurers from deny coverage to children because of a pre-existing medical condition. However, individual plans -- like most employer-sponsored health plans -- can create open-enrollment periods. If you need a health plan outside of the enrollment dates, you can apply either to the Washington State Health Insurance Pool (WSHIP), or if you qualify, to the new Pre-existing Condition Insurance Plan (PCIP-WA). No longer qualifies for a state program. Loses employer-sponsored coverage (including COBRA). Moves and their plan is not available where they live now. In 2014, when the full federal health reforms take effect, no one of any age can be denied health insurance because of a pre-existing condition. The animation assumes a magnitude 7.3 quake on the Seattle Fault. OK, so this has nothing to do with insurance. But just a friendly reminder: Daylight Savings Time begins at 2 a.m. Sunday. Don't forget to move your clocks ahead 1 hour. A British team put together this extraordinary video to encourage people to wear seat belts. It's a big change from the scary crash ads we've all seen -- and it's probably more effective. The experts say it's inevitable that the Seattle area will be hit with another Tsunami similar to the one from 1,000 years ago. But now we have the technology to show you what it would look like. A Tsunami advisory was issued today in response to Japan's 8.9 earthquake. An advisory means that a tsunami capable of causing strong currents or waves dangerous to people near the coast is expected --- although widespread flooding is not expected. What counties are affected? Check Washington's Emergency Management Division site for specific county information. Learn more about flood insurance, See if your home or property is in a flood zone and if so, what's your level of risk. "My dog was hit by a car. Will the driver's auto insurance cover the vet bills?" Here's what happened: A woman was walking her dog. Both got hit by a car. Both survived. But for the dog, the insurer only offered what it considered the animal's value: $75. The company wouldn't pay the veterinary bills for the badly injured dog. The sad fact for pet owners is that under insurance law, pets are considered personal property. An auto policy's medical coverage doesn't cover pet injuries. Under the law, it's as if the driver had struck a mailbox. The company estimates the value of the personal property, then offers to pay that amount. That said -- and this is not legal advice -- the owner might be able to sue the driver for the dog's medical expenses, as they are part of the dog owner's damages and may be covered under liability for property damage. But the owner would have to weigh the costs involved. And if the animal was a fancy show dog, for example, the owner could likely prove a higher value for the dog. Our Consumer Advocacy folks once helped intervene to get a higher insurance payment for a dead goat. The key point, however, is probably this: It often pays to buy health insurance for a pet. Here in Washington state, 11 insurers sell a total of 39 different policies covering pets. Some cover accidents only. Others include annual physicals, vaccines and cancer coverage. Most cover only dogs or cats; one company also offers coverage for birds and exotic pets. Every policy offers a multi-pet discount, and some offer discounts for pets with a microchip, etc. A bill that would let the public see far more health insurance rate information has passed the Washington House of Representatives. Under state law, Washington Insurance Commissioner Mike Kreidler's office is now barred from releasing virtually all the information that insurers submit to justify premium increases. House Bill 1220 -- requested by Kreidler -- would end that secrecy. Here's a link to a press release about the bill. Just fyi: Our main office in Tumwater, lost power at about 9:19 this morning. It's still out. Many of us are working on backup power. UPDATE: Power's back on. (10:30 a.m.) This post headline originally said "Power's out at our main building." Due to a retirement, we have a job opening for a receptionist. The person will greet and help visitors and customers visiting our building, as well as answering the main phone line and provide first-tier assistance for people. The person will also analyze service-of-process papaerwork, assist with mail, scan documents, and other duties. For a more detailed description, please see the job description. Applications are due by Monday, March 7, at 5 p.m.